Molly's Suds sent us over two products to try out for review. 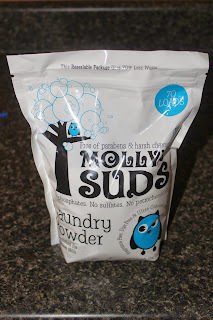 The first product I tried is their Laundry Powder 70 Loads and it retails for $13.99. This package is excellent for smaller familiy sizes, college students and for those just wanting to try it out! Safe for High Efficiency Washers. Be sure to add the powder directly to your laundry tub. 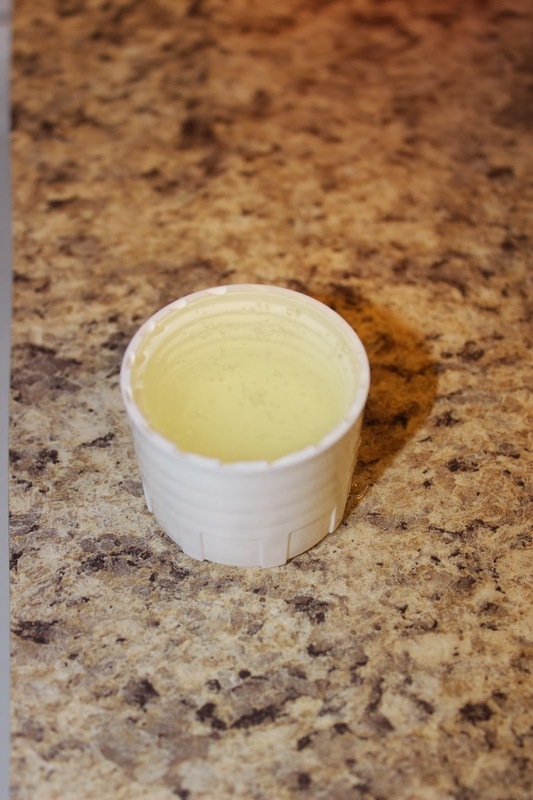 It is not formulated for the dispenser cup, though it dissolves completely during the wash cycle. Our fabulous free flowing powder is perfume and dye free. Ultra concentrated. Use only 1 Tablespoon (scoop included) per load. Safe for cloth diapers. Cloth diaper wash cycle may require the use of more than the standard 1 Tablespoon depending on mineral content in the water. No sodium laureth/lauryl sulfates, no phosphates, no petrochemicals, no formaldehyde, no parabens, no 1,4 dioxane, no fillers, no Diethanolamines, no synthetic surfactants, no PEG (polyethylene glycols), no NPE (nonylphenol ethoxylates). Safe for high efficiency machines, add directly to the laundry tub. Biodegradable. Certified Vegan and Certified Cruelty Free by Leaping Bunny. Human and Pet Safe. Great for those with sensitive skin. If you are at all conscious about what you put on your skin- remember laundry detergent is very toxic to humans and our earth. Our Laundry Powder is gentle to both you and the planet. This has no scent and I used it on my mama cloth and it worked great. 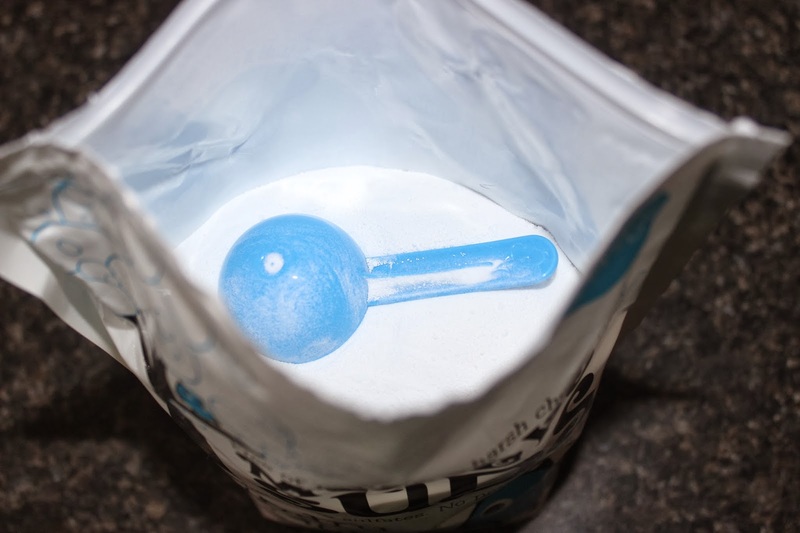 It has a 1 Tablespoon scoop inside the bag so it is easy to use. 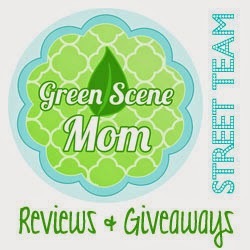 It is cloth diaper safe and the company has great customer service. We also tried out their All Sport 32 loads and it retails for $12.99. All Sport is a fabulous product formulated with only the purest of ingredients and designed for your performance apparel and delicates. 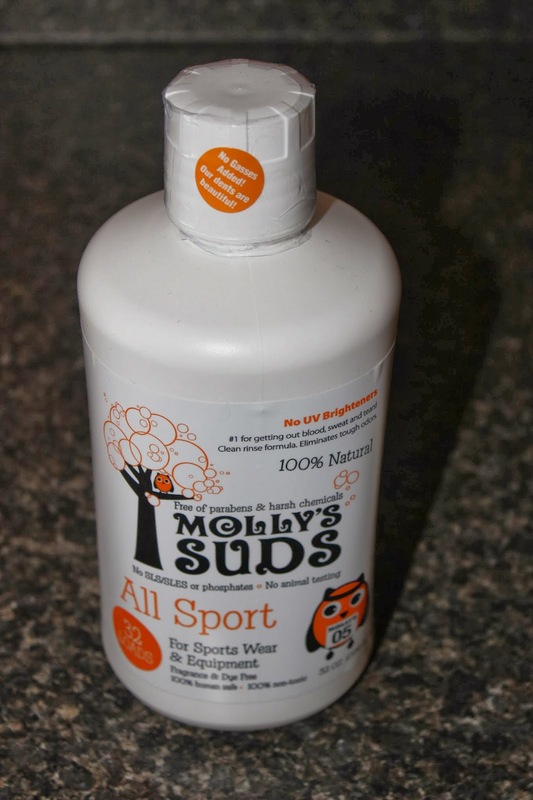 It's designed to be used as a laundry soap for your yoga, running, cycling, swimming or team sport apparel. While detergents can clog the fabric pores, All Sport rinses clean. Sweat stains? Not a problem. Stale locker room stink? All Sport will eliminate that. #1 on gym clothing, triathlete apparel, sports and military uniforms, Under Armor and under garments. Safe for delicates such as wool and fine washables. Effective in cold water. Great in high efficiency machines as a main Laundry Detergent. Always wash sweaty clothes as soon as possible to help reduce bacteria growth. 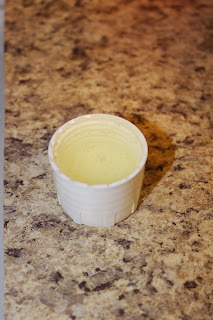 Presoak at least 30 minutes for best results. Wash according to manufacturers label directions. Wet a washcloth with All Sport and wipe down sports equipment. Safe for all surfaces. No SLS/SLES, no phosphates, no petrochemicals, no formaldehyde, no parabens, no 1,4 dioxane, no EDTA, no Diethanolamines, no synthetic surfactants, no PEG. No Optical Brighteners. Safe for high efficiency machines, add directly to the dispenser cup. I used this on my husbands work clothes and it worked great and left them smelling really nice as well. I cant wait until he starts playing hockey again so i can use it on his sweaty items also.